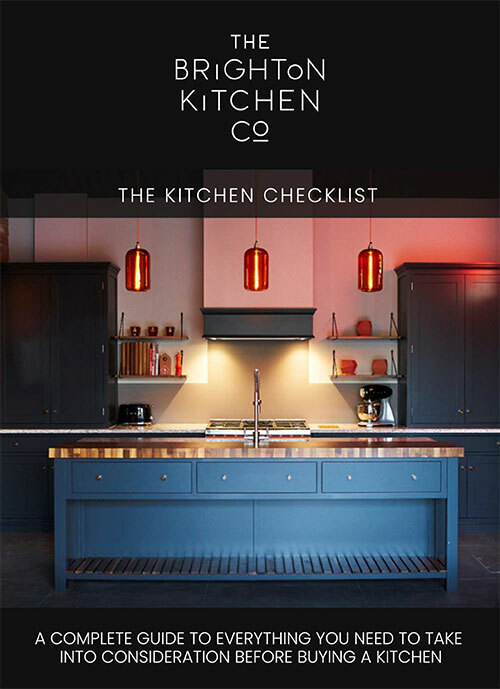 At The Brighton Kitchen Company we love to design and build luxury Shaker kitchens for modern and period homes. The distinctive square-framed design of the classic Shaker style kitchen has a beautiful, universal appeal, and sits elegantly in many different property styles. The Shaker kitchen style originated in the late 1700s in New England in the USA. The name comes from the religious sect who believed in building furniture that was functional and necessary. 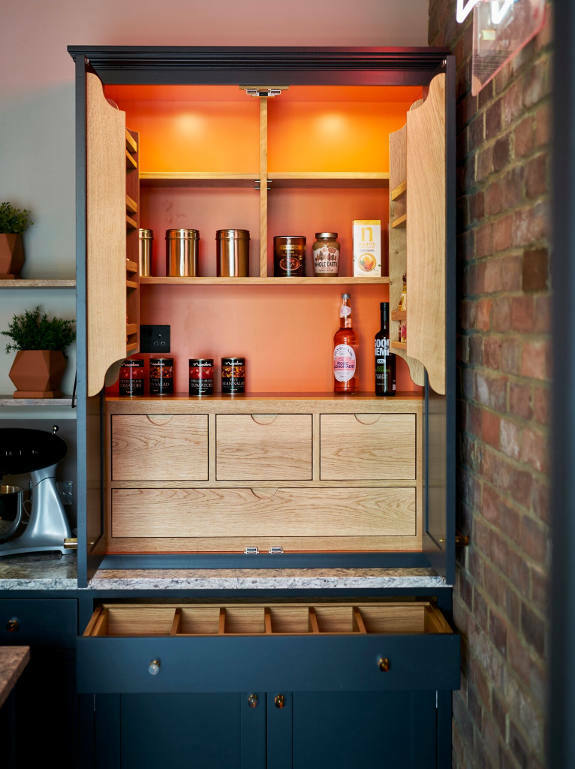 From its humble beginnings, the Shaker kitchen has grown in popularity, and we believe our luxury Shaker kitchen solutions take this kitchen design to another level. It is a design that offers practicality, durability and timeless style. Shaker kitchens were always intended to last a lifetime and with The Brighton Kitchen Company they still do. 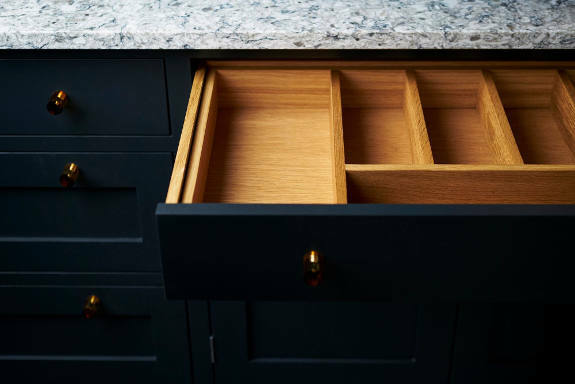 Handcrafted in Sussex, all of our bespoke Shaker kitchens are made by our partnering local cabinet maker. Highly skilled, our local cabinet maker has been in the industry for years, and crafts truly beautiful kitchen furniture designed by us. Using traditional joinery techniques and precision technology, all of our handmade shaker kitchens are built to perfection. To us, attention to detail is everything. The classically proportioned doors with an inset panel, so typical of the Shaker style, are set in sturdy frames and can be painted in any colour or left bare. Farrow and ball’s heritage colours are favourite finishes, but if you have your own special colour in mind, or have a particular design feature you would like, we can of course accommodate that for you. We relish a challenge and we’ll help you choose every last detail. Everything we design has you, your family and your home in mind. 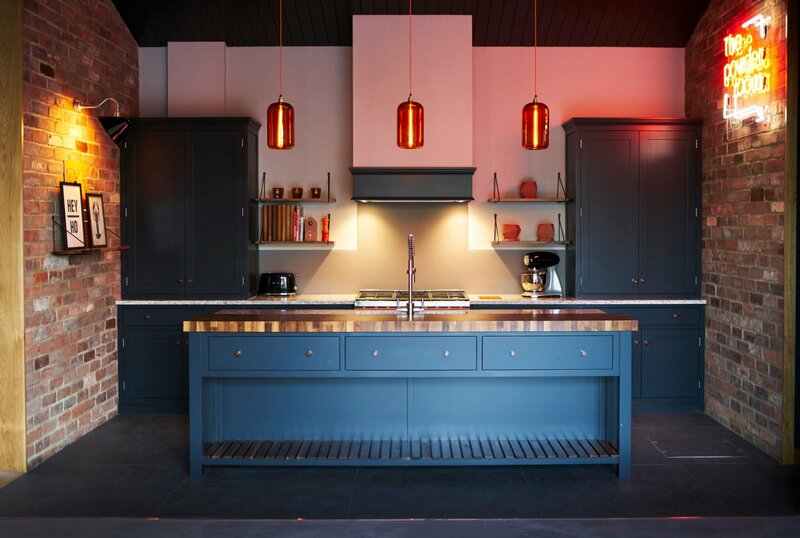 We are dedicated to the bespoke design and installation of exquisite handcrafted Shaker kitchens. Every kitchen we design is unique. We tailor every element of your kitchen to suit your lifestyle and your personal tastes. Whether you want a truly traditional Shaker kitchen or one with contemporary touches, we can design a stylish and elegant Shaker kitchen that will breathe new life into your home. All of our Shaker kitchens offer a level of sophistication not many other kitchen styles can reach. They are the perfect choice for those seeking a stunning yet uncomplicated kitchen design. We’ll leave no stone unturned to bring you a stunning kitchen style completely unique to you. 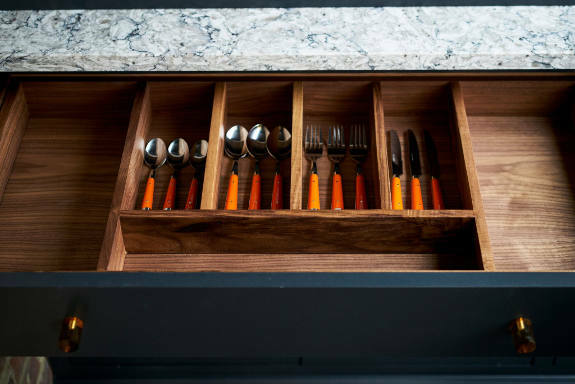 Everything from the cabinetry handles to clever storage spaces will be designed to perfection. Whatever statement you would like to make, we’ll incorporate it into the design to bring you a kitchen that is practically functional, cohesively beautiful, and built to last a lifetime. We also work with a UK company producing a range of luxury kitchens, including the Shaker style. Offering a range of door finishes, colours and versatile storage options, these high-quality kitchens are a more cost effective alternative than our bespoke, handmade kitchen solutions. We have carefully sourced this kitchen supplier to ensure your kitchen is made to the highest possible standard. We want everyone to benefit from our design expertise. Our range of durable, locally built kitchens are of exceptional quality and still bring a touch of the unique to your home. We’ll help source all of the extras, and make sure installation goes like a dream. Whether you are in Sussex, Surrey, Kent or further afield, we can bring you a beautiful and timeless kitchen space you’ll love to use every day.